two of my most favoorite boys! can kate come over this weekend, pleaaassseeee? 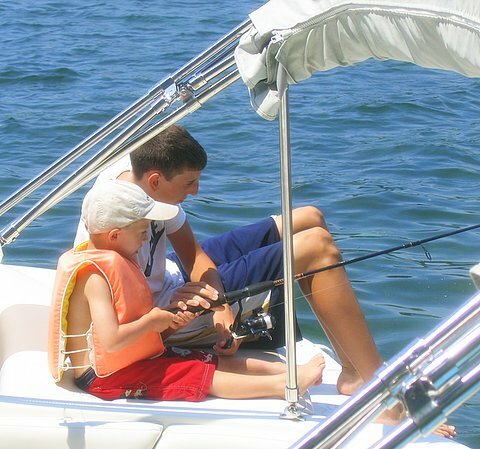 When you fish with a child, it's never really about the fish ;-). Ah, some of my most treasured memories -- fishing with my dad. Awww that title fits that picture just pefectly! Love it!